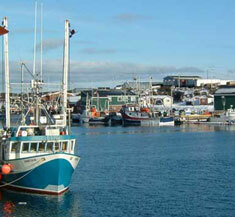 The Community-University Research for Recovery Alliance (CURRA) was a 7-year (2007-2014) research program of innovative, interdisciplinary research projects related to helping communities and organizations along Newfoundland's west coast develop strategies for the recovery of fish stocks and fishery communities. Centered at the Bonne Bay Marine Station in Norris Point, NL, the CURRA brought together researchers from the social and natural sciences and fine arts at Memorial University in St. John's and Sir Wilfred Grenfell College in Corner Brook in working partnerships with numerous stakeholders and community organizations. The long-term objectives of the CURRA include promoting community engagement with the Station, promoting and diversifying the research community affiliated with the Station and training researchers in collaborative, community-based research approaches.